Things have been heating up here at PFP! How can a vacuum dehydrator rescue a paper machine? 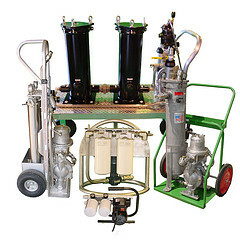 Looking for cartridge sediment filter housings? Did you see us in the August issue of PRI Magazine? Recently, we rented a vacuum dehydration system to a paper mill. The mill was seeing extremely high levels of moisture in the hydraulic oil of one of their paper machine’s reservoirs, which had a capacity of approximately 1,000 gallons. Its oil was dirty and contaminated with water, and it appeared to be a milky color. It definitely needed to be filtered! Click here for the full article if you want to see how the paper mill’s machine was rescued. 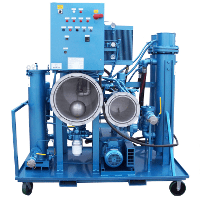 Also, click here to see the vacuum dehydrators that we currently have available. 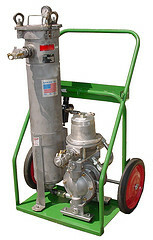 The “Village Marine” cartridge sediment filter housing is a new addition to our inventory of liquid filters. 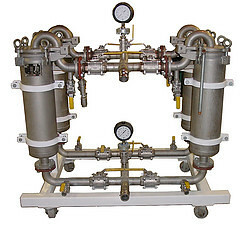 This model has a stainless steel filter housing, which is specifically designed for seawater use. It boasts a simple and secure closure system, which allows quick and easy filter changes. It also has a powder coated shell for superior corrosion resistance, and the fasteners and clamps are made of stainless steel as well. 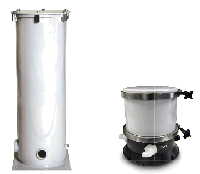 Click here to learn more about these cartridge sediment filter housings! 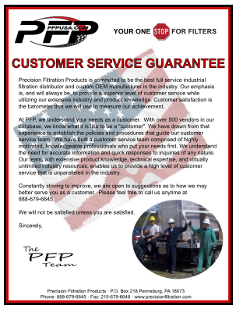 We have some great news from Performance Filtration Products, our automotive and filter manufacturing division. Have you noticed that more racing teams are preferring to use air filters with dry-type media instead of oiled gauze? It’s true! This growing trend was even mentioned in an article in the August 2010 issue of Performance Racing Industry magazine, for which we were asked to be interviewed! Click here to read the full blog article! 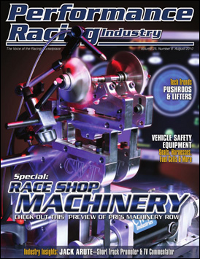 Click here to download the section of the PRI magazine in PDF format! To find out more about our filtration products and how they can help you save time and money, make sure to contact us today! ← Success Story: Vacuum Dehydrator Rescues a Paper Machine!